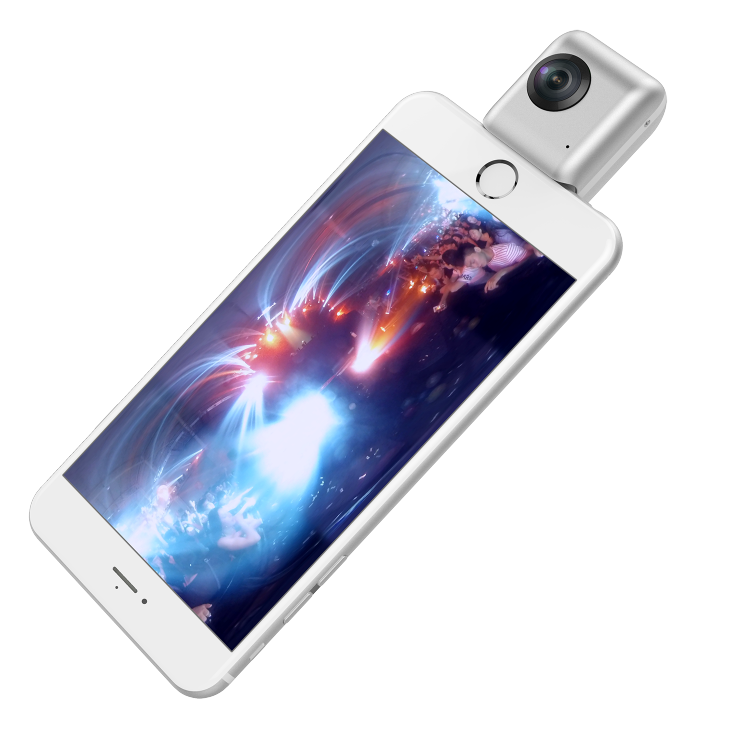 The Insta360 Nano is a removable 360-degree camera for the iPhone. We now have more information about it – including an unboxing, detailed specifications and even a sample photo. More after the jump. 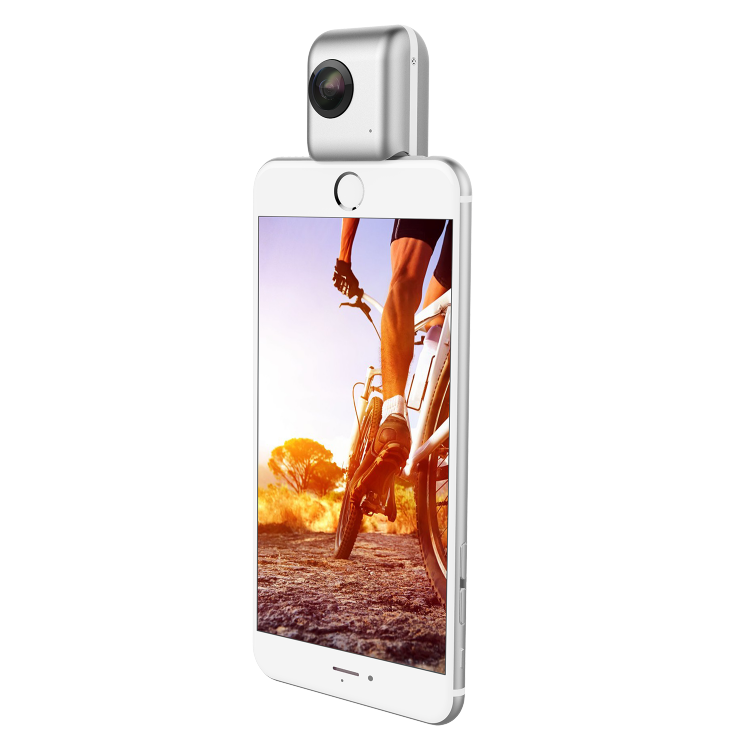 The Insta360 Nano is a fully spherical 360-degree camera that attaches to an iPhone via the lightning port. When attached. you can see a live view from the camera, making composition easier. The iPhone can also be used for controls. It also facilitates sharing 360-degree photos and videos to social media. Although there are other cameras that attach to a smartphone, such as Sony’s QX line of cameras, the Insta360 Nano is the first 360-degree camera to do so. 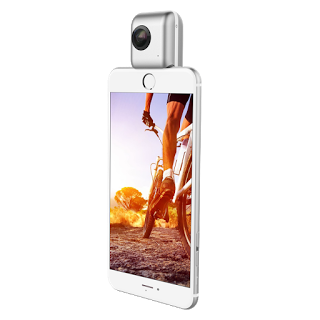 Compared to Insta360’s first 360-degree camera, the Insta360 4k, the Nano looks very compact. 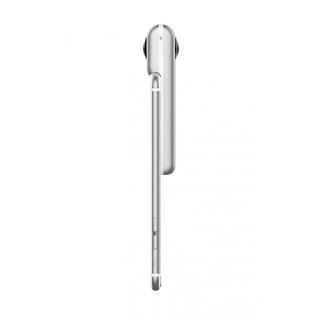 The relatively slim profile of the Nano complements the iPhone’s sleek lines. The Nano can also be used independently without being connected to a smartphone. Here’s an unboxing video, showing what’s inside the box and a cool bonus. Yup, the box turns into a Google Cardboard viewer! Cool! The built-in stitching is an impressive feat for such a compact device. The Ricoh Theta S has built-in stitching for photos, but cannot stitch video. And it seems the Samsung Gear 360 has no built-in stitching at all. But the Nano stitches both photos and videos. This makes it more convenient to share photos and videos, without having to convert them in a computer or separate utility. Live streaming is also an amazing feature. With it, you can livestream in 360 from anywhere. 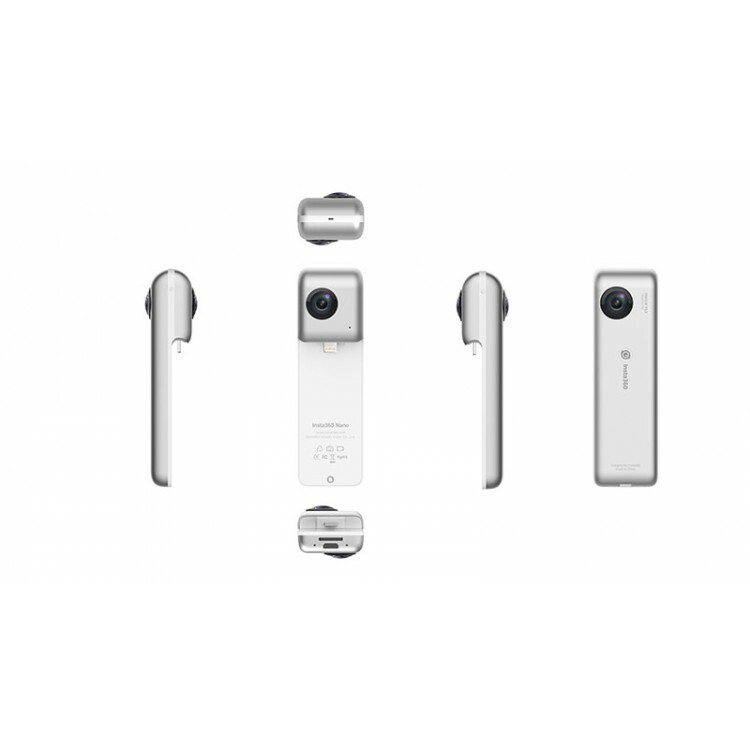 Currently, only a few consumer 360 cameras are capable of 360 livestreaming, such as the 360fly 4k and the Ricoh Theta S. The 360fly’s is not too surprising because it only has one lens, which makes stitching an easier task (essentially the fisheye has to be converted to equirectangular). 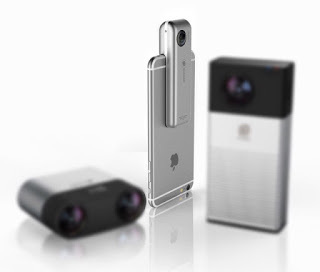 As for the Theta S, it currently only livestreams via HDMI or USB, and only to a computer, although Ricoh announced that they would add “video communication” to the Theta. The specs are great but how well does it perform in real life? Fortunately, we have samples. I posted a sample video the other day. Here is a sample photo. This shot indeed appears to be from the Nano. You can see that the user’s earbud cable is connected to the earphone jack beside the lightning port. The stitching looks pretty smooth. It appears seamless except for very close objects such as the hand, or the earphone jack. Looking at 100% view, the photo appears quite sharp. The 8mp is real, not interpolated. Moreover, the lens seems sharp and detailed, almost all the way to the edge (where the stitch line is). There is some chromatic aberration for high contrast areas near the edge of the lens, although the aberration seems less prominent than on the Ricoh Theta S.
The dynamic range could be better, although it seems more or less similar to cameras in its class. White balance in the shot looks somewhat cool but we would need to see more photos in more conditions to get a better idea of its white balance accuracy. Color and contrast are a little flat, but that can be easily edited in post, and it’s much preferable than an overly saturated or contrasty shot that sacrifices highlight or shadow detail for punchiness. My source at Insta360 said that US release is planned for next month through Amazon, although this is not guaranteed. 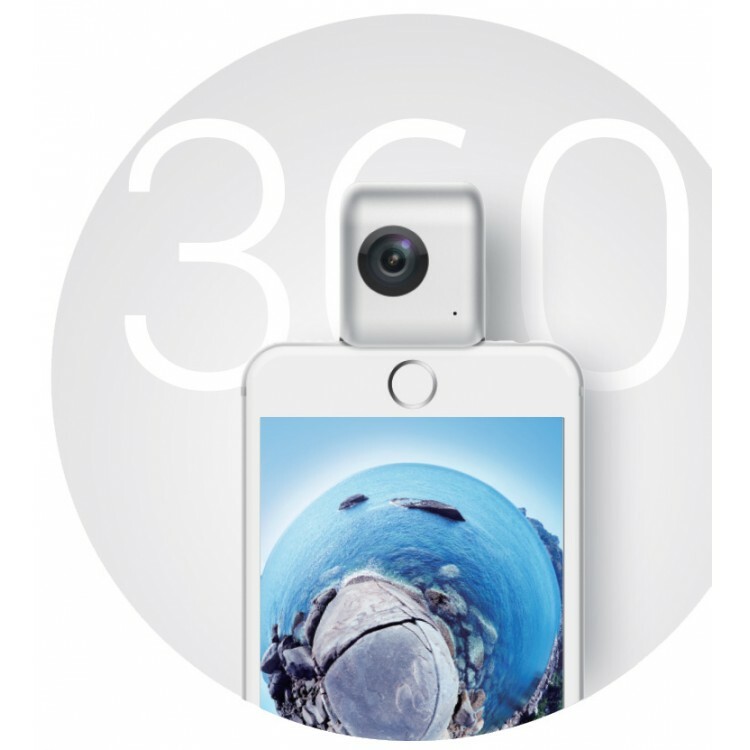 Insta360 is aiming at a competitive entry-level pricing. The Nano had been available via AliExpress but the listing was pulled. Meanwhile, there is a limited quantity available for preorder in Australia on Laserco, with shipping on June 20. On Laserco, the preorder price is AU$339 (currently around $250). For now, the Nano is only available for the iPhone. However, an Android version is in the works.